It is a very popular product for absolutely every person! I am not the exception. Have you ever though that there is practically nothing natural in a toothpastes that we use?….Actually, in the most cases the list of ingredients on the toothpastes is rather long…and lots of products we more often don’t know. We have to be very much picky. 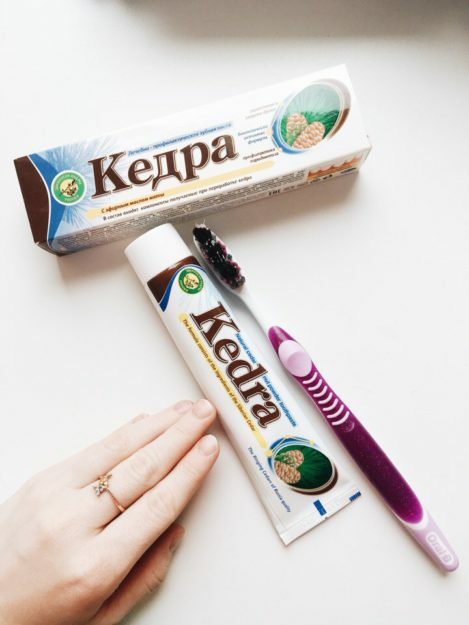 But how much surprised I was when I have seen a toothpaste with Siberian Cedar! What is more the composition of it is so simple! How can you be doubting that cedar resin won’t be the best antibacterial ingredient for you. I trust nature and a company which work Cedar. That’s why this Cedar toothpaste was my choice. Please, look at the picture below. I have been brushing my teeth with this Cedar toothpaste already more than 2 weeks! And I have some interesting results. 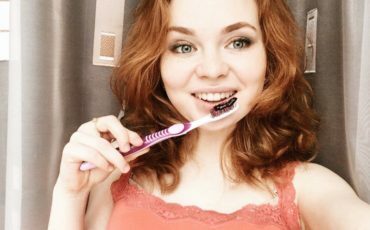 Usually I needed to spend more time brushing my teeth to clean all the plaque, but in this toothpaste there is the crushed nut shell, which provides gentle mechanical action, scraping off the plaque, that’s why the time for brushing teeth has reduced. One more thing that I noticed in this Cedar toothpaste with mint that it doesn’t have bright taste, but it is very mild and natural. And the last thing that I appreciate a lot in Cedar toothpaste is that it helps in case of inflammation. For a person who had been wearing braces for 2 years, it is a very much important thing. I wish you to have a brilliant smile and never be afraid to SMILE. Choose only the products you trust. Stay tuned! Next week I will tell you about new product.